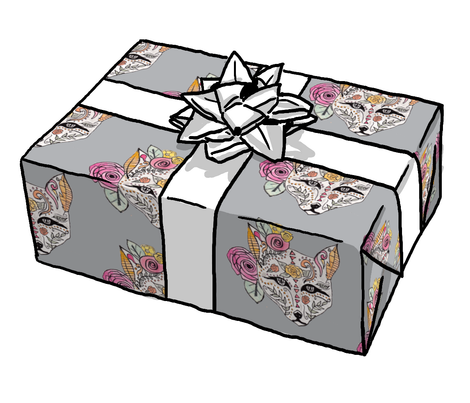 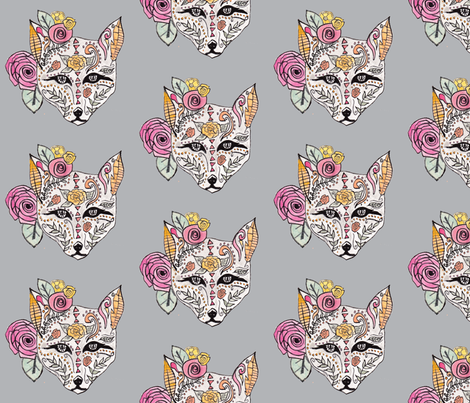 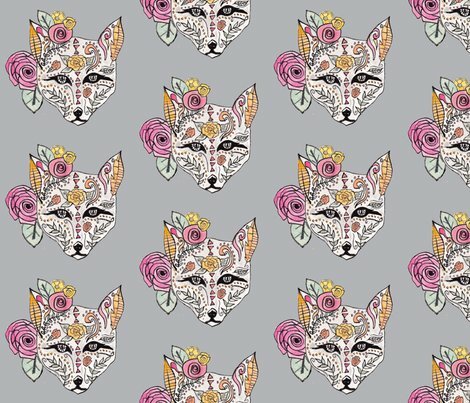 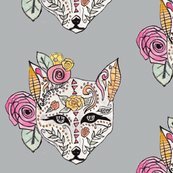 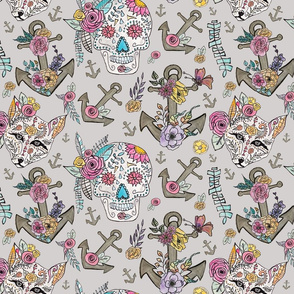 Orignal boho "sugar skull" watercolor fox in repeat pattern on gray. 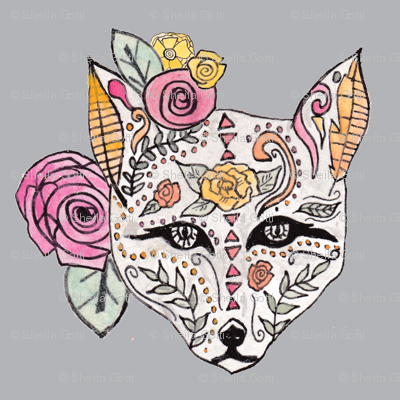 © Copyright Sheila Gotti - You are permitted to sell items made with this fabric design, but please credit Sheila Gotti as the designer. 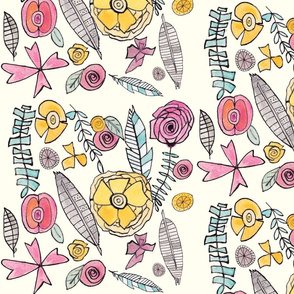 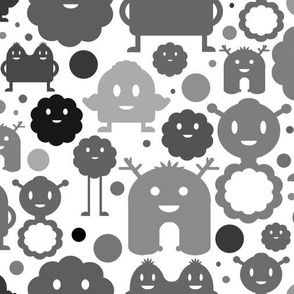 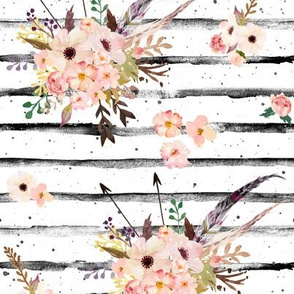 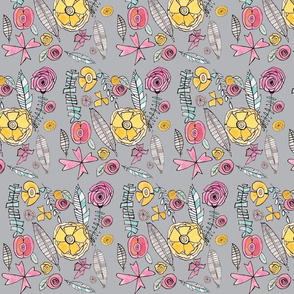 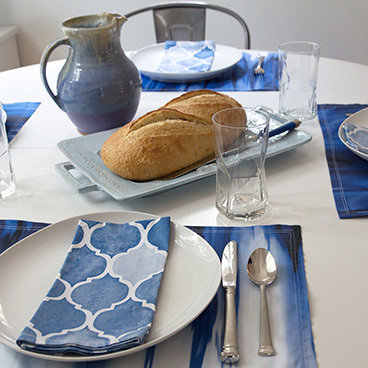 Please do not re-use the design in any other format, other than on the fabric purchased from Spoonflower.